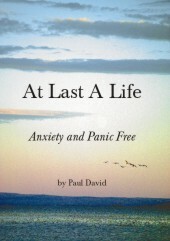 Complete allowing is the way out of anxiety and all the other symptoms that go with it. Be it unhealthy thoughts, panic, restlessness, depression, feelings of detachment. All this is created by months and maybe years of worry and your body and mind is then full of excess negative energy. This is why you feel the way you do, forget all these labels that are given out. The only way out of this is to then release it all. Fighting, suppressing, constantly analysing and trying to fix it cannot work and can only give small pockets of temporary relief at best, it can never truly fix the problem. In fact this is the problem, as it just creates more of what you are trying to get rid of, so the problem persists. Add to that all the worrying about how you are feeling and there is a whole more negative energy being put into that mind and body, can you see the cycle now? So why do we spend so long trying to fix, suppress and fight these feelings? We do so because our mind is a survival machine and it wants rid of these feelings, it screams ‘Do something, I don’t want to feel this way’ so we go around in circles changing meds, seeing counsellors, reading books, self analysing, trying different techniques, anything not to feel this way. And we keep searching not understanding why we can’t seem to find this elusive answer. Well there is the answer, because we have never allowed ourselves to feel this negative energy present within our mind and body, so it has never had the chance to escape and has been kept stored within us and so creating exactly what we are trying to escape from, it’s a vicious cycle. Even when you know that it is the wrong thing to do you keep doing it. Why? Through fear, you are always in fear of how you feel and fear over takes what someone has told you or what you understand at a basic level. On my blog you get people who have truly seen it and they flow with knowledge and understanding, they allowed all the grot to happen and are now recovered. They did so because they did not just see my words, more that my words resonated with them on a deep level, they truly saw it for themselves. You then get the other person who has read the same material I have written and they are still doing all of the above and the reason is because deep down it has not clicked with them yet and the reason I keep writing. It took me a while to have that light bulb moment and get it. I was like ‘WOW’ that’s why that did not work, why that did, I see it now so clearly’. Was that the end of my suffering? No as there was so much negative stuff present within me, seeing why would not get rid of it over night, I knew I had to go through a process I had spent years trying to avoid. In fact finally allowing myself to feel it, I felt it more strongly than ever at times, but with also days of peace and bliss I had never felt before. I loved the good days, but I was fine with all the bad too as all the negative thoughts and emotions I felt no longer scared me and I knew it was a vital part of the process. My realisation was the end of all my suppression and coping techniques, as it made no sense to continue to do so. Even when my mind screamed, ‘Escape, fix’ I smiled at it as I knew deep down I was totally fine with whatever symptoms came up, I was not under attack and whatever was going on could not harm me in anyway. I truly saw my mind and body was full of negative energy through years of worry and analysing, this needed to be released by completely letting go and allowing it all to rise up within me. The mistake a lot of people make is they think that letting go, allowing, is a ‘do’, they want to know how to do it, why? Because again they want to use it as a technique not to feel a certain way, when this is all about feeling it, not the other way around. You can’t ‘DO’ allowing or letting go, it is not a do. It is an attitude. It’s about not holding on to any strategy, not having any rules or technique, not protecting yourself in any way, it is about letting go of everything, about fully opening up and allowing everything to arise within you. People think if they let go of all control, all resistance that something bad will happen, they will somehow lose control, but don’t fall for your minds tricks. It won’t. When you truly allow and fully let go then all these feelings are then felt fully and every time this happens some of this negative energy is released, this is the way towards recovery. This is not some idea I have, this comes from personal experience, I have seen so many recover this way, and for me it is the only way. Just remember you are always there underneath all this negative energy, this is all just surface stuff and not who you truly are. When the last of mine was released all the symptoms left me. All the labels I was given were nonsense. I did not need years of therapy, I did not need to deal with each symptom separate or need a bunch of rules or techniques. I did not need to get somewhere or escape anything; the answer was much simpler than that. The answer really is simple once you see it for yourself, hopefully my words will help you do that.